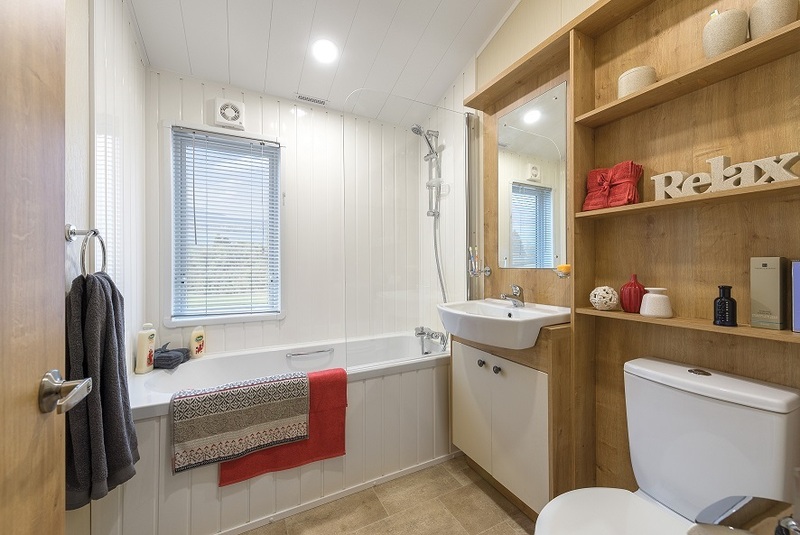 Located on Parmontley Lodge Holiday Park in Whitfield, Hexham, Tyne Valley in Northumberland. Sierra CanExel cladding® with Golden Oak uPVC Frames. Lounge with sofa and pull-out bed, striped upholstered armchairs, electric stove fire with feature fireplace surround. TV point above fire in addition to freestanding unit. 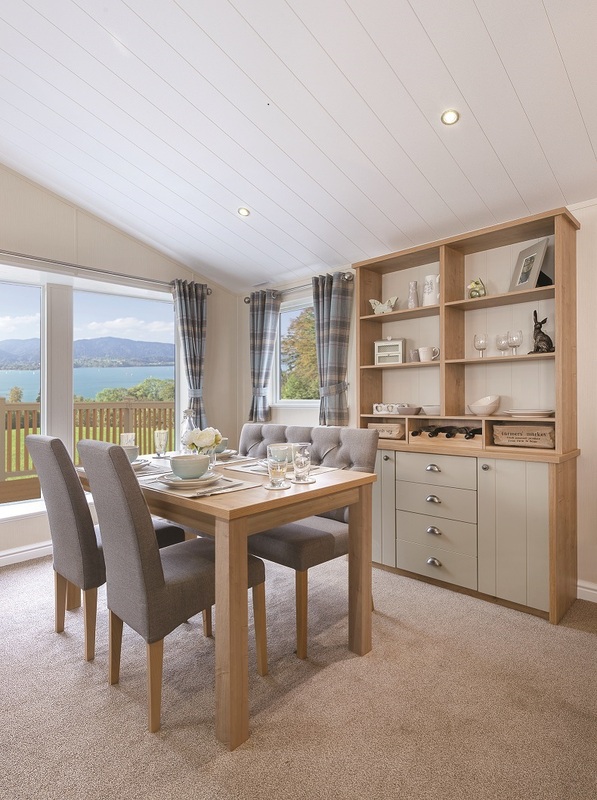 The Dining area: Dining table, upholstered dining chairs and high-backed bench chair, Welsh dresser unit with wine rack and a Breakfast Bar with stylish pendant lighting. 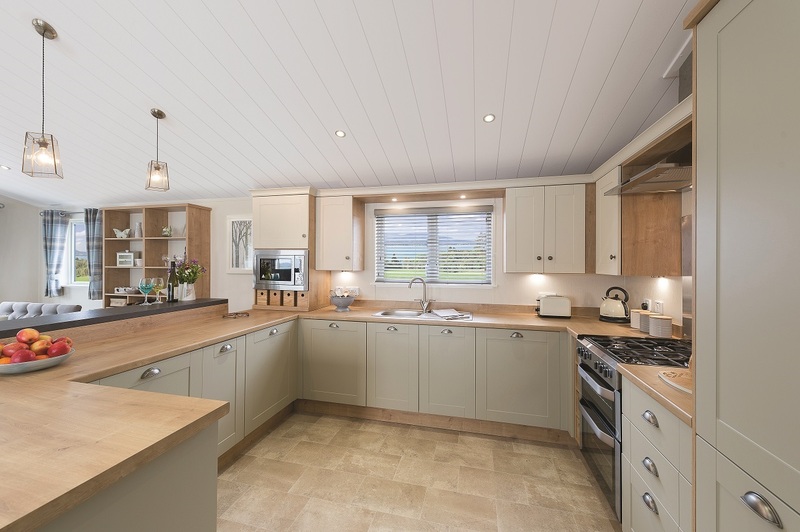 A country-style inspired Kitchen includes under counter fridge and freezer, integrated dishwasher and a washer/dryer plus a unique double width larder with lots of practical wicker storage options. 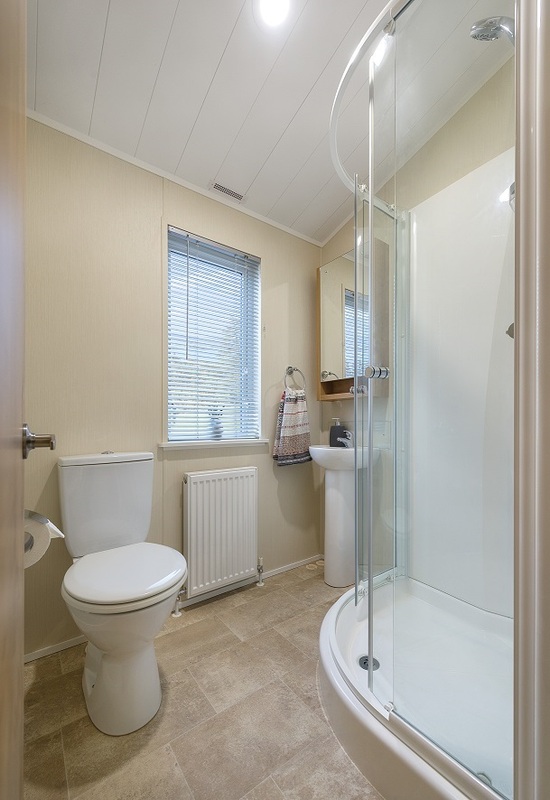 The family Bathroom is modern and practical with bath and overhead shower. 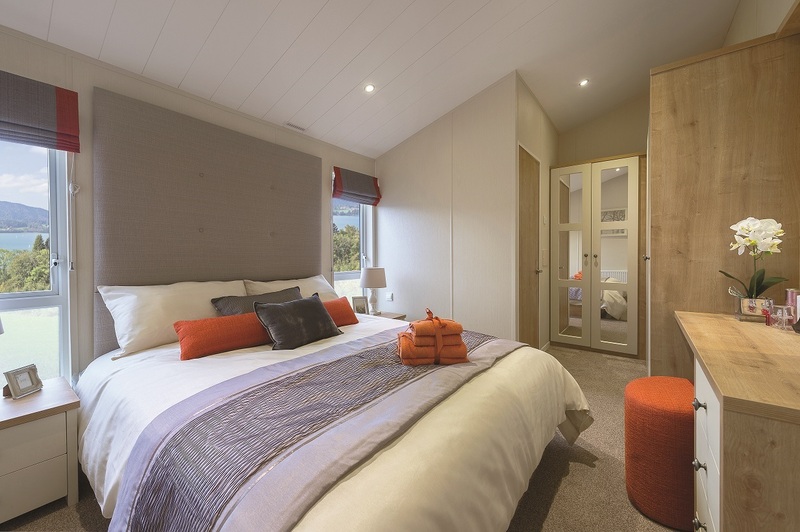 The twin bedroom features single beds which can be reconfigured to create a double bed. 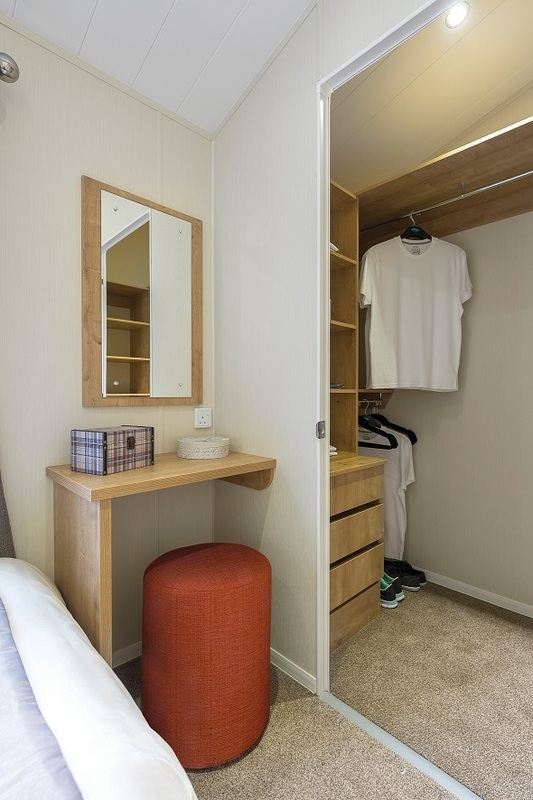 A vanity area with handy walk-in wardrobe. Bluetooth music system is installed. 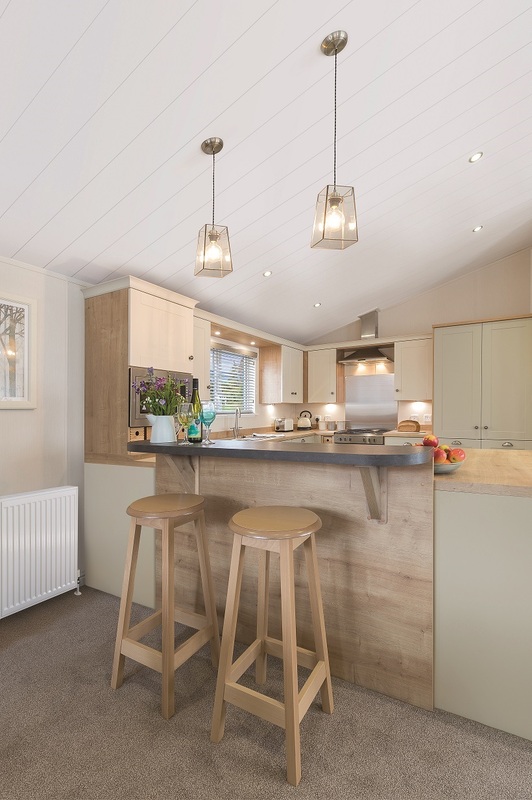 This idyllic rural location in Northumberland is a haven for peace and tranquillity, offering exclusive riverside pitches surrounded by captivating woodlands. Close to the market towns of Hexham and Corbridge. Plus a great base to discover the beauty and rich culture of Northumberland, the Scottish Borders and Cumbria. 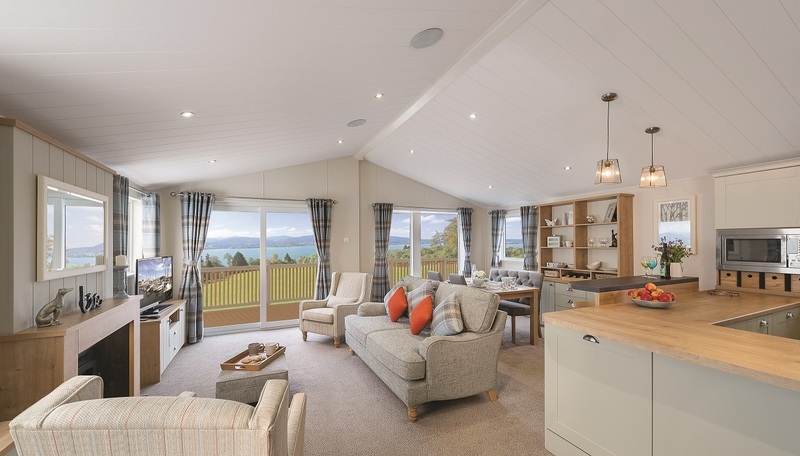 Live the Lodge lifestyle at Parmontley Hall, Hexham in Northumberland.